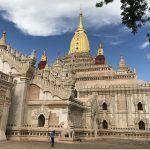 Get a glimpse at the Golden Land of Myanmar through this 4-day Myanmar classic tour to set foot on the most favorite destinations throughout the country. 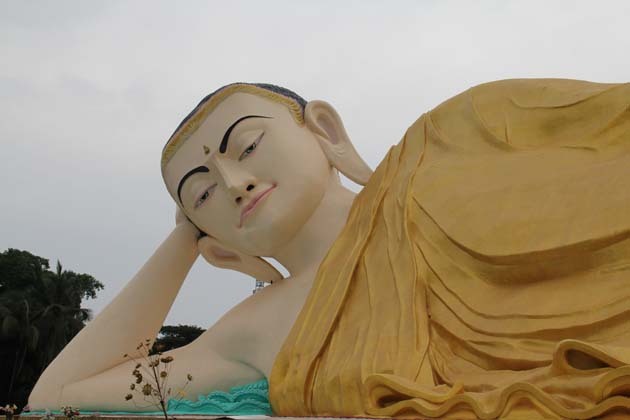 During your 4 day trip, we take you from the entertainment center in Yangon to the sacred Golden Rock Pagoda where enshrines the Buddha's hair according to the legend. Next, proceed to Inle Lake, where nature and people roll into one. Join in an amazing trekking tour to pass through the scenic tea-leaf and cheroot-leaf and coffee plantations nearby Inle Lake. Mingalaba! Welcome to magical Myanmar. 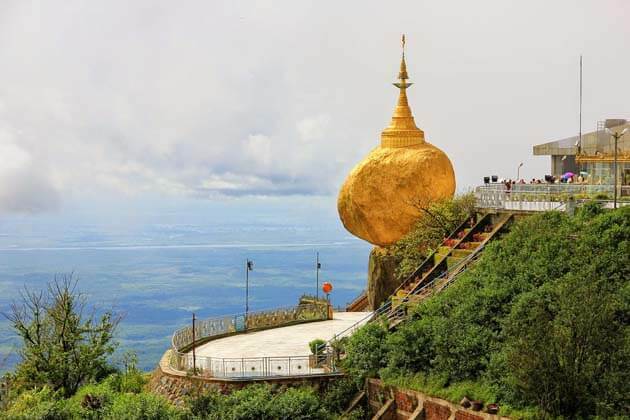 Start your wonderful journey in Myanmar by a trip to Golden Rock Pagoda within 5-hour-drive. Situated on the top of the hill, it requires you to take a short trek about 4 km to reach the sacred pagoda. As soon as you hike up to the top, the lush jungle blending with drifting clouds will totally enchant your heart. Listen to your guide about the legend-shrouded into the giant rock. Overnight in the hotel near Golden Rock. Get up early this morning to capture the beauty of Golden Rock at dawn. Afterward, proceed to Bago where you will have an amazing experience to learn more about the history as well as the myth of the region. 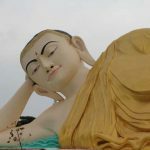 Stop at Shwe Tha Lyaung Pagoda to admire the giant reclining Buddha Image before taking a stroll through the Shwemawdaw Pagoda to see the highest pagoda in Myanmar. Complete your tour in Bago with a visit to Kanbawzathardi Palace before returning to Yangon. Along the way back, stop at LawkaChantha Abaya Lahba Muni, The Houses of Three White Elephants then your drive will transfer you to the airport to take a flight to Heho. Today is a full day let you explore the beauty of the peaceful Inle Lake. 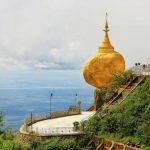 Embark on a fantastic boat trip in the morning to pass through the scenic route and behold the typical floating garden, leg-rowing fishermen, beautiful bird species and then reach the Phaungdaw Oo Pagoda where is the holiest relic in Shan State. Enjoy the tranquil atmosphere before moving to the Inpawkon Village to discover the process of making lotus fabric – one of the world’s most precious textile. Head to the In Thein Village after the cozy lunch toward the western shore to reach the In Thein Pagoda Complex where consisting hundred small stupas. Start the next day in Inle Lake with a welcome breakfast before joining an amazing half day trekking tour. During 4 hours, pass through the scenic highland and then you will be surrounded by the greenery of tea-leaf, cheroot-leaf and coffee plantations. Continue your trek to the village nearby to meet and greet the villagers and get to know about their unique culture. After 2 hours and a half, you will approach the and here enjoy a warm lunch with your tour guide and you are likely to meet 100 students in the village school. From there you are able to gaze out at the panoramic view of the lake. Afterward, go across Danu and Taung Yoe Tribal Villages where you can approach the local culture as well as the lifestyle. Stop at one of the nearby monasteries for a short break to enjoy some green tea and snack. Fulfill your remarkable Myanmar tour with the final visit to Maing Thouk village. Trip ends.